Since the beginning of time, salvation has been about God providing a Savior to die for the sins of humanity. However, despite God’s simple plan of salvation, like Adam and Eve in the Garden of Eden, man insists on doing things his own way. One such way is the idea of Lordship salvation, which has permeated churches and discouraged the masses from really understanding God’s simple plan of salvation. 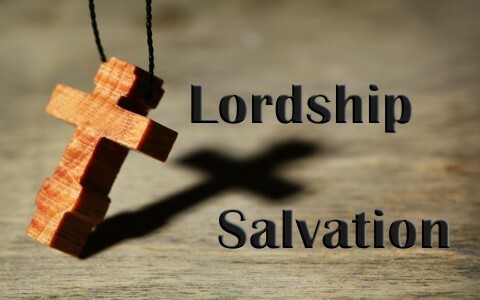 What is Lordship Salvation? A short Christian study will help us to understand this dangerous doctrine. Lordship salvation is the belief that in order to be saved, one must make Jesus the Lord of their life. It is seen in many forms and expressions, but the main premise is that it always combines trusting Christ with works. For example, it might be trusting Christ and baptism. Or trusting Christ and praying a specific prayer. No matter what the case, it teaches that God’s grace alone is not enough to save you, that you must do something else too. Another aspect of Lordship salvation is that you must perform certain works to stay saved. As some people like to say, “If Jesus is not Lord of all, He is not Lord at all.” This teaches that if you are not living a perfect sinless life as a Christian, then you are not saved or cannot keep your salvation. The problem with this teaching is that the Bible defines anything not done in faith as sin (Romans 12:22-23). This means that our own little commandment system that we set up for ourselves as our barometer of sin is worthless when compared to God’s standards. This begs to ask then, if we can lose our salvation by sinning, how many times a day did the Apostle Paul lose his salvation (Romans 7:7-25)? Likewise, what did he do to get it back? It was no surprise that man would make the choice to disobey God in the Garden of Eden despite having an intimate fellowship with God and everything that man could ever need. However, this was not good enough, man wanted to be like God. Man wanted more. Therefore he set about to be like God on his own terms and in his own way. In doing so, he changed the course of human history and set up the struggle for man to want to do things his own way, even in the provision that God has given for salvation. We know from the continuation of the story that God was not unaware of their sin and had in fact provided not only a solution for their sin, but a temporary covering as well (Genesis 3:14-21). The point to be made here is that it was not the fig leaves that Adam and Eve made to temporarily cover their sin that made them right with God. It was God’s grace demonstrated through the death of a coming Savior and symbolized by the killing of animals to obtain skins to cover them. What does Lordship Salvation say about God’s grace? Lordship salvation takes God’s grace alone out of salvation. For example, sometimes I hear people tell an unsaved person that you have to make Jesus the Lord of your life to be saved. The theological problem with this is that an unsaved person cannot make Jesus the Lord of their life because to have victory in your life over sin, you must have the Holy Spirit in you. You do not receive the Holy Spirit until after you trust Christ as your Savior (Ephesians 1:10-14; Ephesians 4:30). No man can say that Jesus is Lord without the Holy Spirit, so how can an unsaved person have the ability to make Jesus the Lord of their life (1 Corinthians 12:3)? Many people teach that you must confess with your mouth to be saved. In teaching this they totally deny what verse ten teaches, with the heart man believeth unto righteousness. It is with the mouth confession is unto (to, of) salvation. The moment God knows that we believe the gospel in our heart, we are saved because God sees our hearts (1 Samuel 16:6-7). It is with our mouths that we confess that we ARE saved. Telling others about our salvation demonstrates in their eyes we already are saved. God sees the heart, man sees our words and deeds. Where do works come in? Notice it says, not by works of righteousness which we have done. Works of righteousness are works generated by faith (Romans 4:5; Philippians 3:9). This is reinforced in Ephesians 2:8-9. The point that is being made is that although works are very important as we can see in the following verses, it is God’s mercy that He did by cleansing us of our sins and renewing us by the Holy Spirit, In other words, God forgave us and put His Spirit in us. Our works have nothing to do with receiving God’s mercy. Instead, our righteous works should be a product of our salvation that demonstrates what God has done. Lordship salvation is the belief that in order to be saved, one must make Jesus the Lord of their life. Lordship Salvation has been around since the beginning of time. Lordship salvation takes God’s grace alone out of salvation. God forgave us and put His Spirit in us. Our works have nothing to do with receiving God’s mercy. Our righteous works should be a product of our salvation that demonstrates what God has done. So Good Dr Williams. I attended a church in my travels last week where the pastor was speaking on James. His heart knew the truth I surmised from talking to him after church but he kept using the “got to” words regarding the demonstration of our faith that we “have to” do as a believer. It drove me nuts. We”ought” to do works of righteousness to demonstrate our faith but we don’t “got to”(sic). Man attempts to help God out in order to be saved as you pointed out so well. It is in our nature. So sweet and sublime is God’s plan: He provided the lamb(Jesus)… we believe. The Bible tells us that is the work of God…that we simply “believe on Him whom He has sent”(Jn 6:29). Do we behave as sons of the devil after we believe? No, God forbid, we demonstrate our love for God with acts of righteousness. We will continue to fall down(sin) but cling to the Cross each day, asking forgiveness and forsaking our sins and going on with God. Thank you for speaking the truth. It is so simple, yet, so hard to find. Next post: What Does The Bible Say About Praying For The Dead?